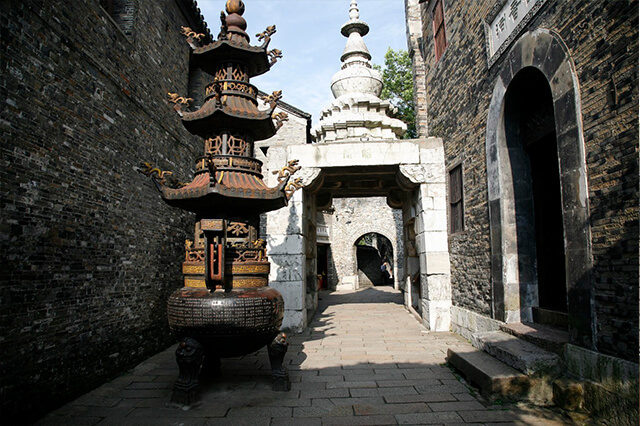 Located at the foot of Yuntai Mountain in Zhenjiang City, Jiangsu Province, Xijindu Ancient Street is with an overall length of about 1000 meters. Built more than 1,500 years ago, it is the area whose cultural relics and historical sites is most, most concentrated and perfect in Zhenjiang. In ancient times, it was close to the Yangtze River, and to the east, a mountain was there as a barrier that wards turbulent sea tides, thus it was a natural harbor with stable shoreline and a busy ferry crossing and a vital traffic route for people and boats to go back and forth. Many famous people have crossed the River here and written poems to praise its spectacular beauty. 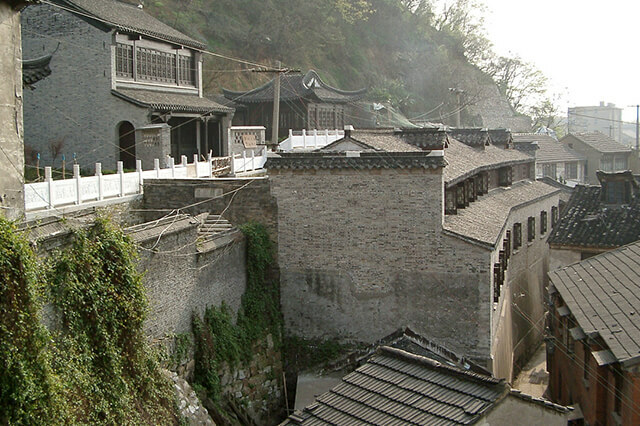 Marco Polo, a famous Italian traveler, once landed here and crossed the Yangtze River. In modern times, with the river beach silting up, it is no longer a ferry, but it preserves a large number of historical sites for viewing. Many interesting shops are set up in the ancient buildings, on which the post and panel structure is decorated with vermilion overhanging eaves and carvings, and years mottled counters and cunninghamia ten plank doors are there in the two-layer well-proportioned buildings. When you walk down the blue flagstone road with deep wheel tracks hardened by wheels, you may feel its simple and unsophisticated ecological environment in depth. Long history, numerous historical sites, simple and unsophisticated ecological environment, pure and honest folk customs and traditional business, all make it at present glow a kind of vitality beyond expression. It is unique charm that attracts the tourists at home and abroad.